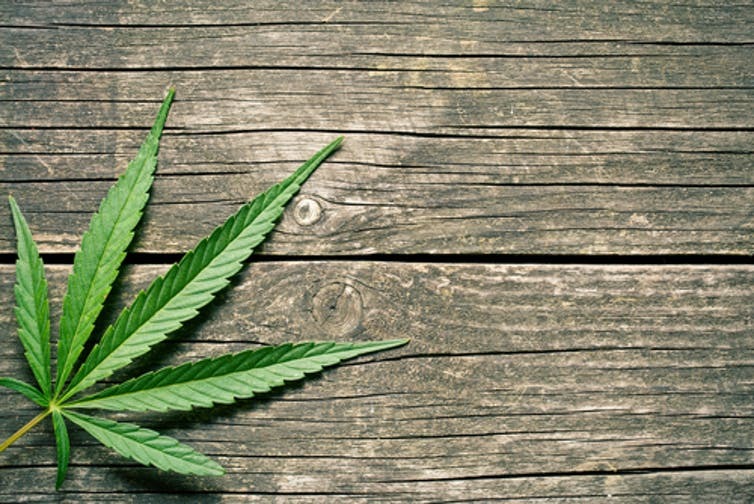 A new study reports cannabis may not be as helpful in treating chronic pain as believed. Researchers say they have found no clear evidence that cannabis can reduce pain severity or pain interference in those with chronic non cancer pain. Diego was a 20-year-old college junior who was brought to the emergency room by the police. They were called by his resident advisor for bizarre behavior in the dormitory. Diego was anxious, frequently glancing around the room, and talked in a disorganized manner about the Illuminati, Freemasons and the end of the world. A urine drug screen was positive for cannabis. When asked later during the hospitalization, his resident advisor reported Diego smoked marijuana daily, and Diego admitted to being a daily marijuana smoker since arriving at college. As was the case with smoking tobacco, smoking marijuana is said to prove you’re sociable, hip, and modern. As with tobacco, marijuana is portrayed not only as largely harmless, but as objectively good for you, with a credible function as self-medication for all sorts of ailments. As with tobacco, marijuana is presented as a signifier of individual liberty and self-empowerment. As with critics of tobacco, critics of marijuana are cast as petty tyrants trampling on freedom while peddling hysterical junk science. And as with the tobacco industry, a cash-flush marijuana industry is eager to use its wealth to slant scientific study and political debate, lest its flattering claims begin to sire organized suspicion. A growing number of American parents are using marijuana when they still have children living at home, according to a new study. The report suggests cannabis may be complicating efforts to limit kids' exposure to second-hand smoke. I have been practicing pain medicine in Colorado for 24 years and I have seen patients referred to me on very high-dose opioids, reporting very high levels of pain, and using marijuana for pain control. In discussions with these patients, and overall, more than 95 percent report that their use of marijuana does not help with their presenting pain symptoms. To reside in Schedules II-V and be approved for diagnosing, mitigating, treating or curing a specific medical condition, a substance or botanical must proceed through a rigorous FDA scientific process proving safety and efficacy. Not one form of “dispensary marijuana” with a wide range of THC levels — butane hash oil, smokables, vapors, edibles, liquids — has gone through this rigorous process for a single medical condition. While the panel’s unanimous decision is not binding, the action will no doubt heighten public debate about the use of cannabidiol, medical marijuana, medical cannabis and hemp oil. Should cannabidiol, or CBD, or marijuana be legalized for medical purposes? What is the evidence that these products are beneficial? Are these products safe to use? Those who support the use of marijuana for recreational or medicinal purposes might have found the timing of the panel’s ruling interesting. National Weed Day is April 20. But weed is not cannabidiol, even though both come from cannabis. As a professor of pharmacy with a special interest in epilepsy, I find it important that CBD may be a new option for the treatment of epilepsy. This new use has led me to carefully study published literature on CBD and discuss it as an option with patients who have epilepsy. Additionally, I have been involved with the American Epilepsy Society’s ongoing review of CBD as a possible treatment for epilepsy. From this perspective, I believe that CBD may offer benefits for patients with some types of epilepsy and possibly other disorders. The cannabis plant produces hundreds of different compounds, many of which have differing effects in the body. Tetrahydrocannabinol, or THC, is the substance that is most known for its psychoactive effects, or the “high” associated with marijuana. However, there are many other substances from the cannabis plant that also produce effects in the body. Many of these differ from THC in that they are not psychoactive – and they do not produce a “high.” Cannabidiol, or CBD, is one of those substances. Cannabidiol is a complex molecule that is produced by the cannabis plant. Cannabis has been proposed for centuries as a medicinal plant. Only recently has CBD been studied scientifically for various disorders. Compared to THC, CBD works at different receptors in the brain and other parts of the body. In this way, CBD is very different from THC and may offer new mechanisms of treatment. For this reason, CBD has received a great amount of attention as a possible treatment for many different disorders. CBD has been proposed as a cure or treatment for many disorders and diseases, including epilepsy, chronic pain, anxiety, multiple sclerosis, amyotropic lateral sclerosis (ALS or Lou Gehrig’s disease) and insomnia. Some of these uses are based on science, but others are proposed by advocates of CBD and medical marijuana. Several anecdotal reports, case reports, case series and small studies have reported on CBD for many of these disorders. Information from these reports is conflicting. Case reports, case series and small studies are considered insufficient evidence to prove or disprove the safety and efficacy of a drug or treatment. This is because these studies are usually unable to distinguish between the effect of a drug and a placebo effect, or the patient thinking the drug is working when it really is not providing benefit. However, there are two well-designed, large studies that indicate CBD is effective in two different epilepsy syndromes. In these studies, about 40 percent of patients taking CBD had a significant reduction in specific types of seizures. Epilepsy is the only disorder where there is solid scientific evidence demonstrating that CBD is safe and effective. This does not mean that CBD will not work for other disorders, but epilepsy is the only one where we have clear, well-documented evidence that CBD helps. Results from these studies show that CBD does have side effects. The most common ones are drowsiness, nausea, intestinal cramping, bloating and diarrhea. More serious side effects can occur. In one of the studies in epilepsy, about 10 percent of patients taking CBD had an increase in laboratory tests of liver function. These tests commonly indicate damage to the liver. About 2-3 percent of patients taking CBD had to discontinue it due to large increases in certain liver enzymes in laboratory tests, showing possible liver damage. We are also learning about drug interactions that occur with CBD. In these studies, CBD slowed the metabolism of several drugs that are commonly given to individuals with epilepsy. The interactions between CBD and other drugs patients were taking caused side effects. It is unclear if these side effects were due to CBD, the other drugs, or a combination. Doses of the other drugs were reduced, due to the interactions. The mechanism for these interactions indicate that there are likely several other interactions between CBD and other common medications. Cannabidiol needs to be used cautiously in combination with other medications. There are several other factors to consider in regards to CBD. Cannabidiol does not dissolve well in water. For this reason, oral products of CBD are made with an oil, often some type of vegetable oil. It is important that the right oil is used. Also, less than 20 percent of an oral dose of CBD is absorbed. This makes it difficult to produce a CBD product where CBD is reliably and consistently absorbed. An FDA study of unregulated CBD products available on the market shows these products are frequently contaminated with things like pesticides, herbicides, fungus or bacteria. Additionally, the FDA found that over 50 percent of CBD products may not contain the amount of CBD on the label. This is especially true in states where CBD products are not regulated by the state. In 17 states where there is regulation, there is much better control on product quality and purity. Finally, there are two pharmaceutical-grade CBD products that have been studied for production by a pharmaceutical company. One is Epidiolex, approved by the FDAD panel on April 19, and the other is still being studied. Epidiolex would be approved only for use in two types of epilepsy, Dravet syndrome and Lennox-Gastaut syndrome. So far, the evidence is that CBD is safe and effective for specific epilepsy syndromes. There is insufficient scientific evidence to indicate that it is effective or ineffective for other disorders. Information from well-designed studies do indicate that CBD causes important side effects and drug interactions that must be considered. Individuals who wish to use CBD should be managed and monitored by health care professionals familiar with its use. Reflections from the trenches of a recent statewide debate on legal marijuana. In the federal system, the numbers for marijuana possession are astonishingly low. Only 92 people in 2017 were sentenced for marijuana possession in the federal system out of a total of nearly 20,000 drug convictions, according to the U.S. Sentencing Commission. That is one-half of 1 percent.